I have had many experiences in Italy, and not one of them has been bad. Okay, except that one time I had to sleep in a strange man’s room (don’t worry, he wasn’t there with me) because they ran out of rooms at the hostile. His sheets smelled like…okay, I’m getting off topic. Italy has so much to offer that it’s stupid if you didn’t go there while on your European travels. Italy is the place I discovered what food should taste like. Let me give you a little tour of my favorite place on earth…ELBA. Italy has always held a special place in my heart. There's something about it that I can't put my finger on. It doesn't apologize for what it is and that's what makes it so genuine and real. When I'm there, I seem to forget that there is another life waiting for me when I return. I cook and drink wine like an Italian. I relax like an Italian. In a small way, I sort of become Italian, even if I'm only there for a week. 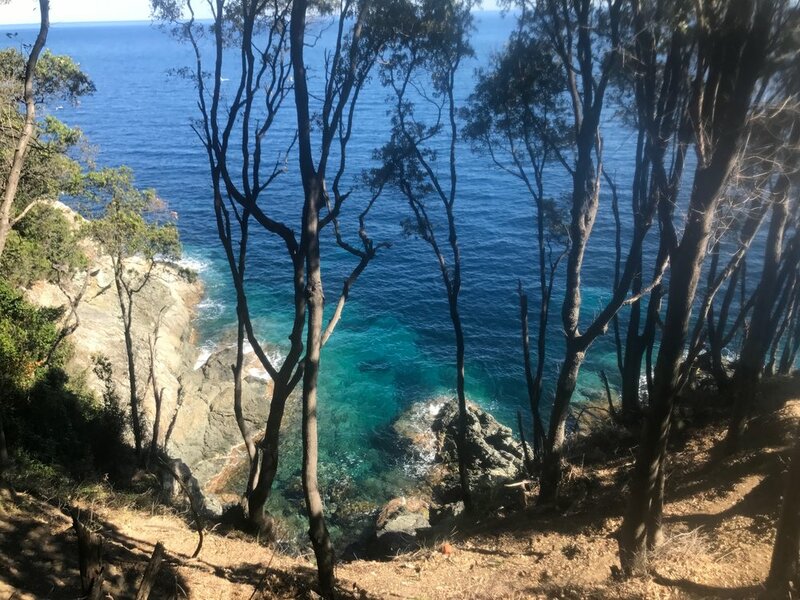 The past ten years I have discovered many places in Italy, but Elba is by far my favorite, which is why I’m dedicating one special post in its honor. When we were figuring out where to go, we happened upon an amazing airbnb, located in Marciana, Elba. With abundant vegetation and breathtaking beaches, it is my top place to go during the offseason. I haven't been there in high season, but I heard it's hot, crowded, but of course, still fantastic. Our Airbnb was just a 5-minute drive into the hills outside of Marciana Marina, and another 10-minute walk from your car to the house. The hike down to the beach from our place took about 15-minutes and is definitely not for older people or kids under 5. If you're willing to be a little more active on your vacation, it's well worth it. For me, I got my work out in, hiking early mornings on the path ride outside or house, and this little extra journey to the beach helped me justify that giant serving of Gelato and Aperol Spritz I had every night. Here are some pictures of our adventures. Take the day and go sailing. The Captain was also a learned cook from Parma, who made us simple pasta and sauce dish with Parmesan, (from Parma of course) a fennel salad, and gave us all the wine we wanted, right on their boat! Another great adventure we have had on a previous trip there was snorkeling with Stefano. A forewarning on this, you won't see an abundance of fish due to, well, lack of fish from over fished seas. The experience was still worth it for me, though. We shared the boat with a few other travelers, and the small family of the Captain. Our day consisted of stopping at different bays throughout the day to take a dip in the ocean, as we circled the Island. It wasn't actually a private beach, but the entirety of our stay we didn't see a single soul, except other boats that would sometimes come in and port for an hour or so. This happened twice. We pretended we were Swiss Family Robinson for the week and built ourselves shelter form the sun. The best thing about the mediterranean is there hasn't been a shark attack since 1964. No sharks, but plenty of jelly fish! Not deadly. At least the ones we saw. There was a hiking path right outside our door. I discovered all kind of treasures, beaches, and absolutely NO PEOPLE. It was wonderful. I love this, only because we did the tourist thing made friends with a few wild cats. I do agree, though. 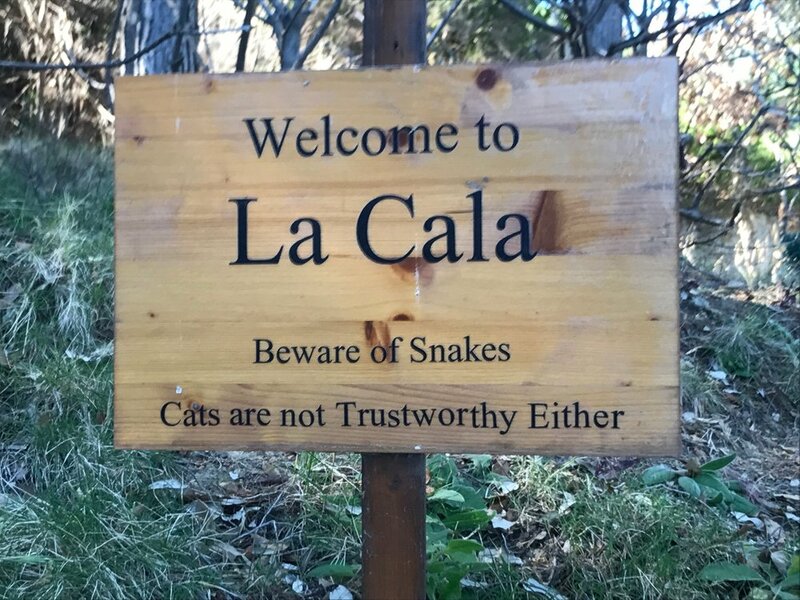 Cats are NOT trustworthy, but I still love them. I do recommend bringing your own wine if you drive there. It's quite expensive on the Island. Local made pasta and sauce, however, is quite affordable and easy to just bring home and make yourself. We stopped at this little gem where the owner makes everything himself. We did splurge a little. If you want to call it splurging. An amazing meal for a great price. Bar Monilli was inland, on the top of a slope in Marciana. When you get to this there, don't stop at the first restaurant you see. It will be full of tourists. Keep going deeper and see what you can find. It's worth it! Elba was the Island where Napoleon was exiled, which makes it only proper to have a beer named after him. The freshest gnocchi you will ever eat. I kid you not. Italians don't have to try very hard to make something that is out of this world. The most relaxed you will ever see me. Go to Marciana, Elba! You won't ever forget it.